1. Following ConfigEngine task will create the backup of the the primary node i.e. 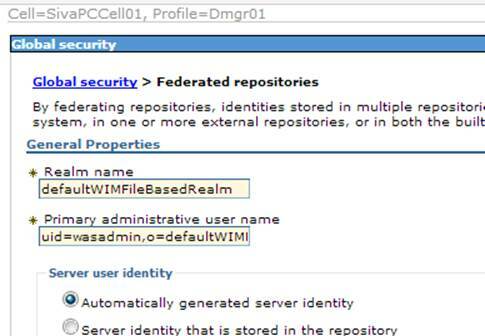 wp_profile and also enables the portal profile templates within the WAS profile Management tool. This will let you create the new portal profile in the future. a). Install the DMGR on separate server (for this you need install the WAS ND ). Following will give all available optiones (required /optional ..etc). INSTCONFSUCCESS: Success: Profile Dmgr01 now exists. Please consult C:\IBM\WebSphere\AppServer\profiles\Dmgr01\logs\AboutThisProfile.txt for more information about this profile. Extract the files from "fileForDmgr.zip" file (located under C:\IBM\WebSphere\PortalServer\filesForDmgr) to "C:\IBM\WebSphere\AppServer" assuming that your DMGR profile is created under the "C:\IBM\WebSphere\AppServer\profiles\Dmgr01" . I had to replace some of the existing files while copying to appserver directory. 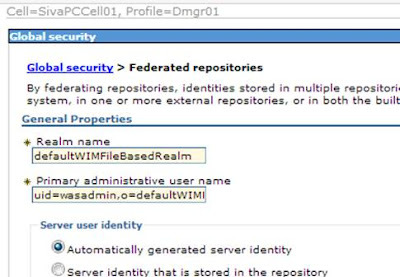 If the Deployment Manager profile was not created in the default AppServer/profiles/Dmgr01 directory, then the metadata_wkplc.xml file, located in the AppServer\profiles\Dmgr01\config\.repository\metadata_wkplc.xml directory in the zip file, must be copied into the config\.repository subdirectory under the Deployment Manager profile directory. Add the full user DN in the "Primary administrative user name" filed to avoid the userid conflicts when configured with federated LDAP. Save and restart the deployment manager. 1. To create and augment the profile manually.